Peacock Villa is a beautifully restored and furnished cottage on the Eastnor Castle Estate. Eastnor Castle Estate is situated just outside Ledbury within the stunning Herefordshire countryside. 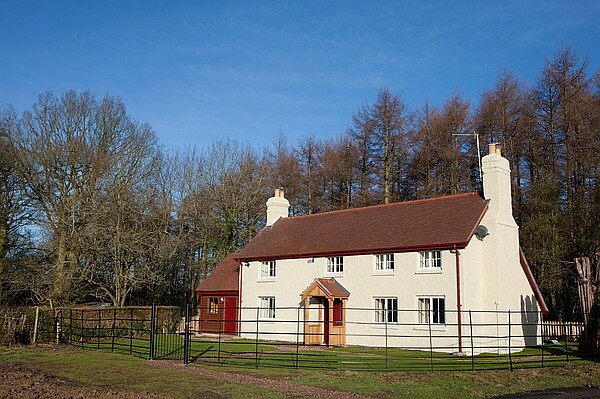 There are two holiday cottages on the estate which are situated within the Deer Park and provide a wonderfully relaxing and luxurious holiday destination. The Estate is at the foot of the Malvern Hills and so there is easy access to the beautiful surrounding countryside as well as the interesting Cathedral Cities of Worcester and Hereford. During your stay at the cottage you receive complimentary access to the castle and grounds when it is open to the public. 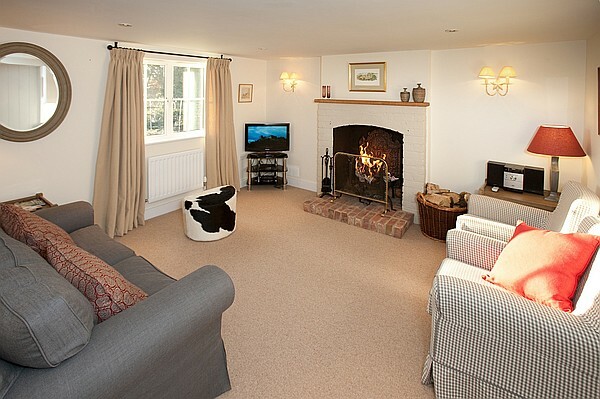 The cottages have been awarded 4* by Visit England and have been thoughtfully furnished and equipped. Kitchen – is well equipped with a ceramic hob, electric oven, dishwasher, fridge freezer, washing machine and microwave. There is a door through to the Dining Room. 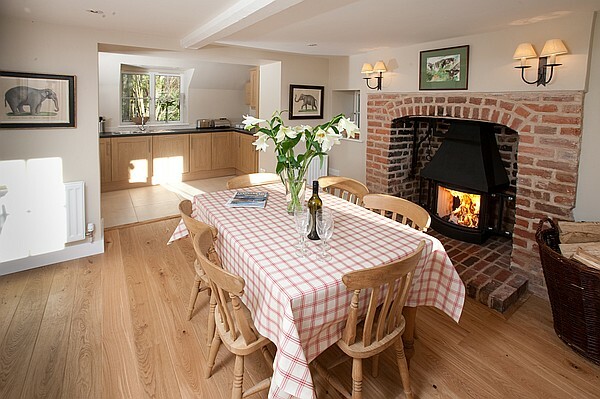 Dining Room – which has a log burner and seating for up to 6 people. Sitting room - with log burner, LCD TV & DVD. 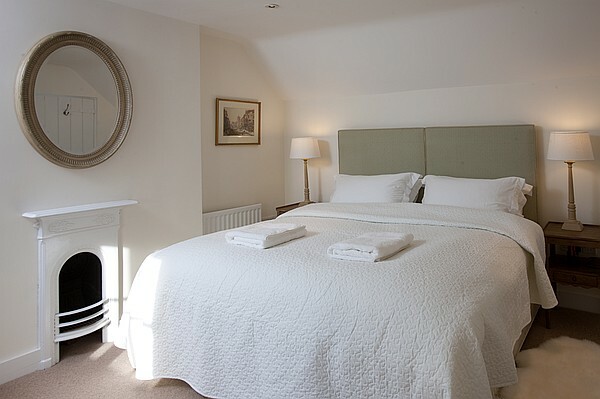 Double Bedroom - with a super king ‘zip n link’ bed which can be separated to make two single beds. Shower room - with WC and shower. Double Bedroom - with a king size bed. Double Bedroom - with a super king ‘zip n link’ bed which can be converted to two single beds. Bathroom - with bath and WC. To the rear there is a private lawned garden with patio and BBQ. There is ample parking to the front of the property. Maid service is provided weekly. Eastnor Castle is obviously a must do while staying at the cottage, your admission is complimentary but please note that the castle is only open to the public at certain times of the year. Ledbury is just 4 miles away and here you will find a number of restaurants, pubs and art and crafts shops. The Cathedral Cities of Worcester and Hereford are close by and provide many amenities and tourist attractions. Hereford is famous for its black and white villages, there are numerous driving routes through these which you can explore from Peacock Villa. Within half an hour drive further areas of interest can be reached such as Tewkesbury Abbey the spa town of Cheltenham, the Cotswolds and the Forest of Dean. Being situated at the edge of the Malvern Hills there is plenty of stunning scenery and an array of footpaths, bridle and cycle ways to explore in very close proximity to the cottage. Our cottages are very dog friendly but we do request that dogs are not allowed upstairs. Water is supplied from a private bore hole on the Estate. Cots, cot linen and highchairs can be provided free of charge on request. A guide for each property is supplied once the booking has been paid for in full. Hairdryers, irons, ironing boards, tea, coffee and sugar are provided for each property. A maid service is provided weekly on changeover day or for longer says around the middle of your holiday. However we do ask for all washing up to be completed and for the property to be left in a clean and tidy manner. A telephone is provided in each of our properties as mobile phone reception is limited. All linen, towels and logs are included in the price. Minimum stay of 7 nights during peak season. Discounts are available for group bookings of 4 or less at certain times of the year.